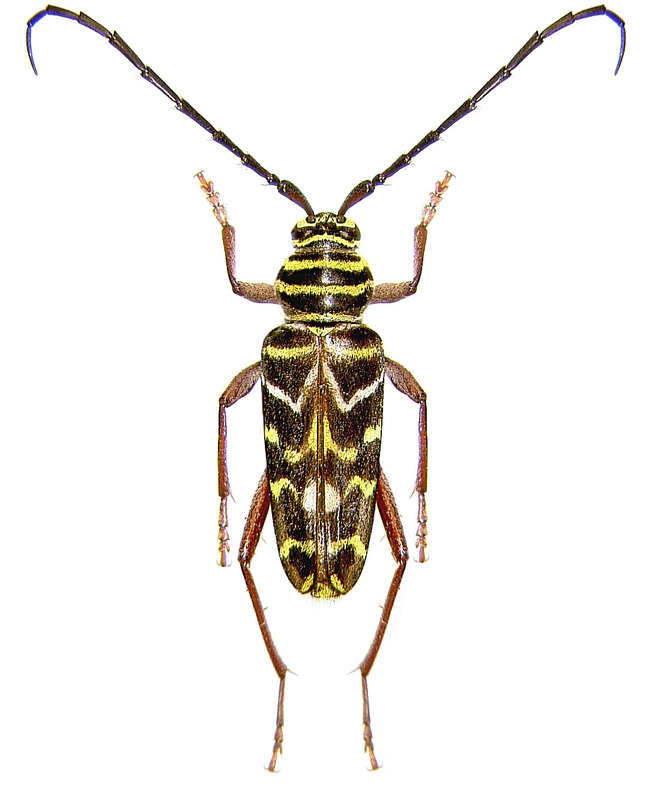 At this time of the year, we often get reports of folks seeing the locust borer, Megacyllene robiniae, in their homes! In fact, they are finding the painted hickory borer, Megacyllene caryae. Both beetles are in the same genus and they look nearly identical unless you hold them side-by-side. The adult beetles are just over an inch in length and generally black with yellow bands and chevrons across their backs. 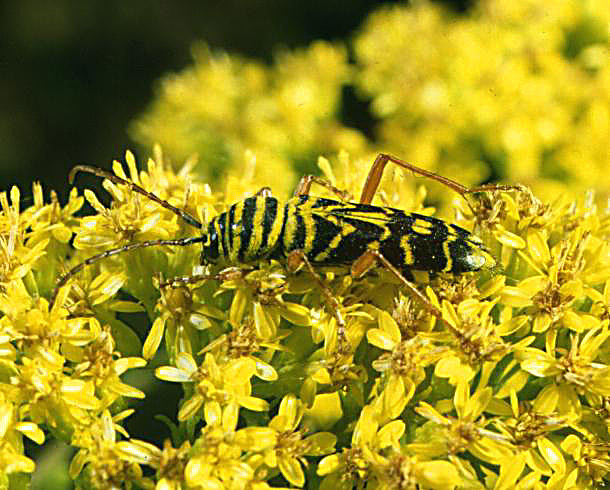 The locust borer has larvae that can attack black locust trees and the adults are commonly seen on goldenrod in September until the first killing frost hits. The painted hickory borer is a spring and early summer active beetle, and in spite of its name, it can infest a wider variety of dead tree trunks including maple and oak. When these trees are cut for firewood, the larvae are often brought in with the wood and the warmth stimulates pupal development and early emergence of the beetles. No controls are needed, just appreciate the bright colors of spring and usher the beetles out the door! Below is an image of the locust borer adult on goldenrod.